Take an additional 15% off selected lines when you use code 15EXTRA at the basket. 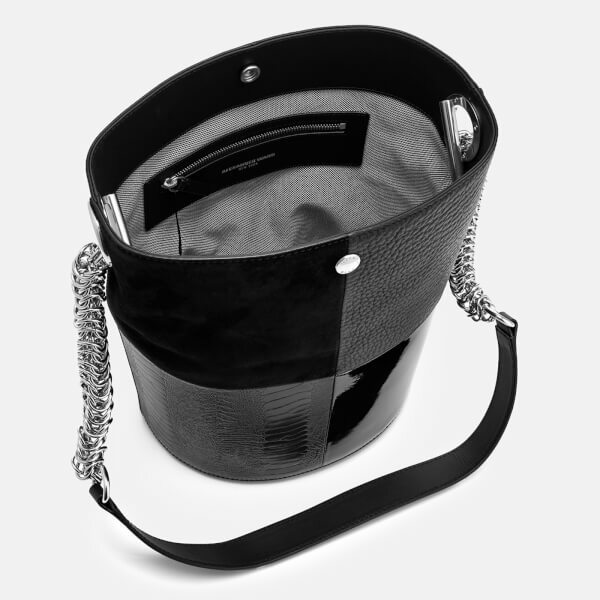 Women’s black leather bucket bag from American fashion designer, Alexander Wang. 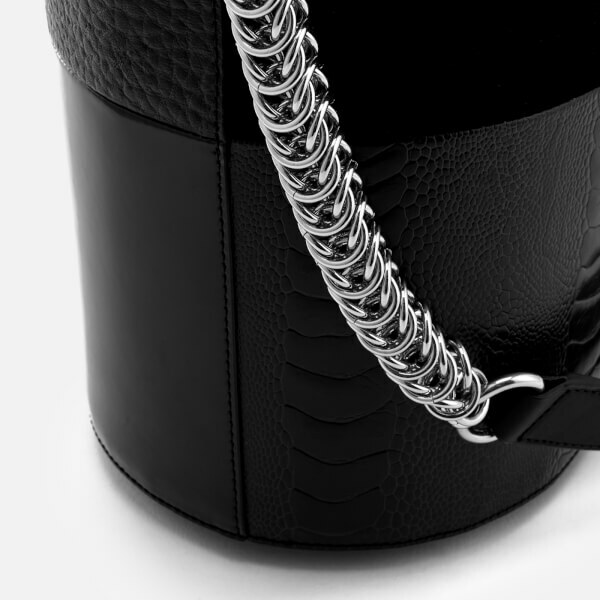 The ‘Genesis’ bucket bag has a patchwork design with square panels in grained, patent, suede and croc-embossed leather. 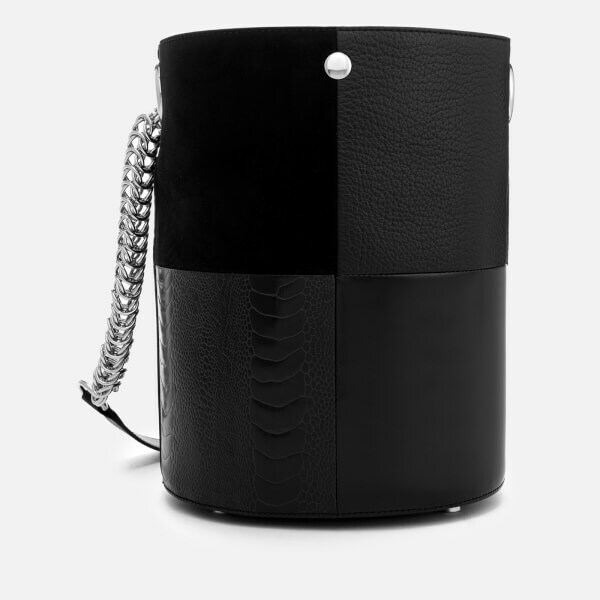 A signature silver-tone box chain and leather strap enables the bag to be worn over the shoulder or in had. Fastened with a snap button closure, the interior of the bag is lined with striped fabric and features a zip pocket and leather brand patch. 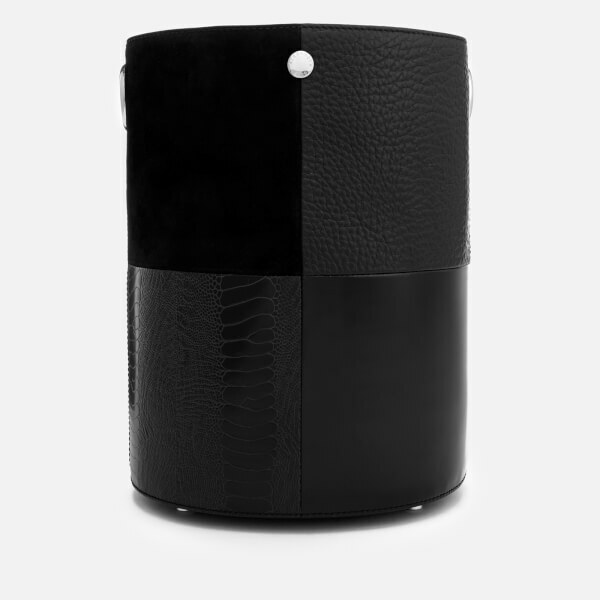 Complete with a logo-engraved stud to the front, signature silver-tone protective studs to the base and a branded dust bag. Dimensions: H: 33cm x W: 28cm x D: 28cm. Strap Drop: 38cm.